UVa's history can be traced back to the 13th century, has been the inspirational foundation for numerous other prestigious universities in Spain. It has four campuses –Valladolid, Palencia, Segovia and Soria cities-, offering over 100 degree courses, the numerous postgraduate and PhD courses, our renowned international relations, distinguished research centres, wide range of cultural and sports activities together with a rich architectural and archival heritage, provide a unique academic environment in line with the oldest universities in Europe whose history, through excellence and the ability to innovate, we form part of. UVa has 3.000+ researchers with 160+ recognized research groups, 4 buildings with total dedication to R&D, 17 research institutes, 3 certified laboratories, 5 associated research centres, 1 Science Park, 11+ spin-off and 80+ patents granted. In 2008, UVA managed 800+ R&D research projects at European, national and regional level and 500+ contracts and agreements aimed at the transfer of knowledge and technology. Their researchers have appeared in more than 250 books and have been presented at many nacional and international congresses divulging 1.900+ papers and communications. 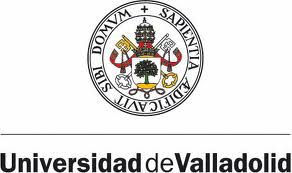 140 doctoral thesis are read at Valladolid University every year. UVa has a track record in European Projects: 30+ projects were executed during the last five financial years, as partner or lead partner. Most of them have been financed by the FP Research & Development, others by MED, Tempus, IEE, or LIFE+ (The Green Deserts, LIFE 09 ENV/ES/447). In this new LIFE project the UVa again works closely with its General Foundation (partner nr 9 of this proposal). The permanent staff of the UVa (F1) will be specifically seconded to this project. Click here to go to the UVa's website.